Are you struggling in your marriage or do you wish the spark was alive again in your relationship? A marriage counseling retreat is a fun, and sometimes intensive program that allows you to share quality time with your spouse to work on marital issues or find lost love. Knowing what to expect, researching retreats available, and choosing the best one for your marriage could start you down the path of having the connection with your spouse you've always dreamed of. Learn tools to improve marriage satisfaction. Vent frustrations in a safe, open and supportive environment to learn how to work through them. Spend quality time together remembering the reasons why they love each other. Learn how to identify issues and how to rectify them before they accumulate to an explosive level. Learn to understand the importance of supporting one another and how to do it. Work through major marital problems such as infidelity, separation, etc. Many retreats are available across the country, and finding the one for you depends on what you would like to get out of it. On the Marriage Quest website, the program leaders report that participants find the intensive program is like 45 minute sessions over 6 months but in only 3 days. The program only helps one couple at a time so they can receive the attention each of them needs. Participants in the program make accomodations near the Cabot, Vermont, retreat center at a local B&B or hotel. You can learn more by visiting the center's website or calling them at 800-707-4566. If you're interested in a Christian-based retreat, you may want to consider this program. Their counseling techniques use biblical precepts and modern day marriage research. It's a three-day, two-night long program with 22 hours of intensive marriage counseling. Each couple receives a Confidential Marital Questionnaire and individual assessments. The answers given in these tools will help direct the professional counselors in the work you will do on your marriage. Watch this video on this couple's success through the retreat program at Cornerstone Marriage and Family Ministries. The location of the retreat varies, so contact the program directly by visiting the website or calling (281) 304-1500. Soulmate Oracle Marriage Retreat by John Grey, Ph.D.
Dr. John Grey is a leader in marriage recovery with 25 years of experience. The program can range from two to four days, with three days being highly recommended. There are two formats available. One is the Private Retreat, which is one for one couple and the other is the Shared Group Retreat, which services three couples at a time. Since it's a small group size, spouses receive more personal attention than larger group workshops. Retreats are located in northern California in Sonoma County. On the website, you will be able to learn more about the programs available, review the retreat schedule, pricing and contact them via message. Winshape Marriage has retreats for couples in different stages of marriage. They have partnered with the National Institute of Marriage and the Center for Relational Care and Battlefield Ministries. The retreats are four days long, running from Sunday to Thursday. Small groups go through an intense marriage counseling program that attacks marital problems and exposes the deep rooted issues causing them. The retreats are held at Normany Inn of Winshape Retreat. To find out more about the programs offered, visit their website. The program is divided up into a four-day retreat and a three-day weekend. Couples in the four-day retreat work with LIFE's owner and chief trainers. This program helps couples in crisis, while the three-day program is more of an enrichment experience to improve a marriage that may only have a moderate level of distress. 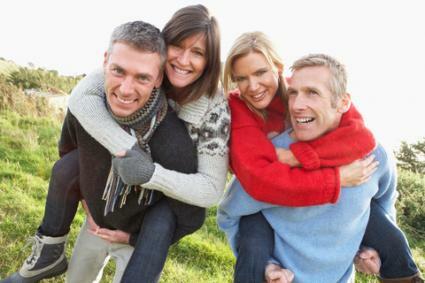 For more information about LIFE Marriage Retreats, visit their website or call (877) 376-7127. If you are still searching for the ideal retreat, browse some of the ones in this directory. It provides you with location, the type of program and activities they focus on. Do you want to be part of a small group or work intensively with the therapist being the only couple? Do you want a program in a nice location or does location not matter? How much money do you want to spend on the retreat? Do you need a weekend or does during the week work for you? Would you prefer Christian-based programs? Are therapist credentials important to you? Do you need intensive counseling or enrichment? As you research your opportunities, you'll start to weed out the ones that don't fit your needs. When you have two or three possibilities, give the centers a call or email them to ask specific questions about how they can help with your specific marital problems. Based on their answers, you'll be able to make a determination on which one will mostly be effective for your marriage.